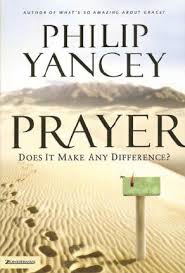 The following story came from Philip Yancey’s book: Prayer: Does it Make a Difference and touched me deeply; I pray it will do the same for you. I have seen evidence of God’s presence in the most unexpected places. During our trip to Nepal, a physical therapist gave my wife and me a tour of the Green Pastures Hospital, which specializes in leprosy rehabilitation. As we walked along an outdoor corridor, I noticed in the courtyard one of the ugliest human beings I have ever seen. Her hands were bandaged in gauze, she had deformed stumps where most people have feet and her face showed the worst ravages of that cruel disease. Her nose had shrunken away so that, looking at her, I could see into her sinus cavity. Her eyes, mottled and covered with callus, let in no light; she was totally blind. Scars covered patches of skin on her arms. Tags: Beauty, Holy Spirit. Bookmark the permalink. What a moving story and what a witness of God’s love. It is so hard sometimes for the world to look at someone’s beauty or lack of beauty instead of looking at them as a saved or lost soul. I for one am so glad God does not judge appearances as we do here on earth because so many are judged wrongly. But the soul of man is the only thing God sees. Hey Janet 🙂 // great to hear from you.